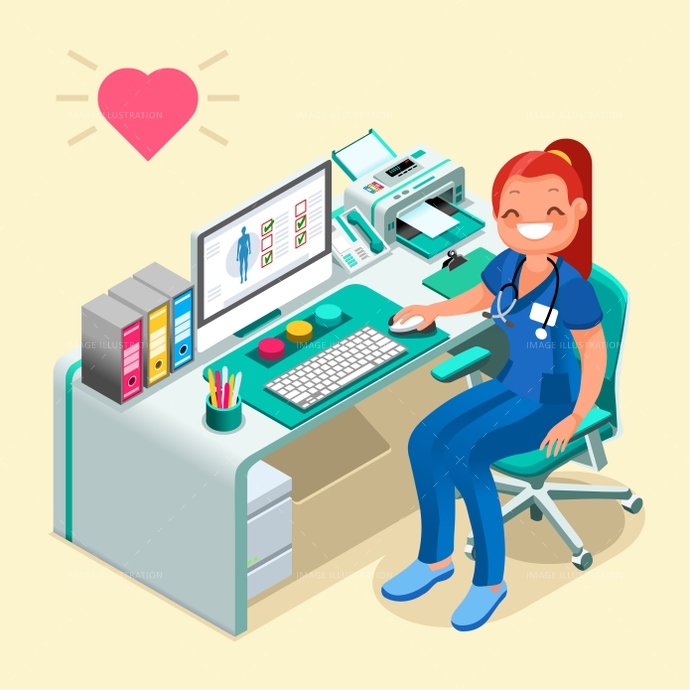 Stock images detailed vector illustrations for nurse day - People isometric collection. Nurse or Female Doctor Cartoon by Aurielaki in EPS AI JPG. Female doctor or nurse cartoon at work, isometric people illustrated for nurse day. Hospital technology healthcare concept, vector illustration. SKU: Nurse-or-Female-Doctor-Cartoon-Isometric-People-AurielAki. Categories: Isometric Character, Nurse Cartoon. Tags: 3d, abstract, assistant, cartoon, character, computer, concept, constructor, degree, design, desk, devices, diagnostic, Diagram, doctor, education, equipment, female, flat, graphic, happy, healthcare, heart, Hospital, illustration, infographic, instruments, internet, isometric people, medical, monitor, nurse, nurse day, office, patient, presentation, professionals, room, safety, school, screen, smile, smiling, staff, station, stethoscope, technology, template, uniform, vector.